HBS alumni are experienced in successfully helping businesses tackle tough challenges. Their skills are highly transferable to the nonprofit sector as well. Community Partners mobilizes Harvard Business School volunteer alumni teams to help nonprofits address business management challenges. We leverage each team’s unique intellectual capital and business talent, customizing every project to meet client needs. 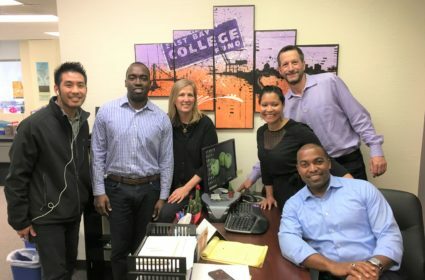 The result is a mutually rewarding experience — for alumni who want to impact the social good, and for our nonprofit clients who need professional help. Addresses business-related issues within the organization such as strategic planning, organizational development, finance, and marketing. Is focused, to be completed by a volunteer team of 3-5 consultants working 2-4/hrs per week individually over 3-5 months. Is designed to create significant strategic impact on the organization. For a list of former nonprofit clients, click here. Are you a nonprofit interested? If so: 1) Click here to check the criteria and deadlines for an organization to qualify for an HBS Community Partners pro bono consulting project. 2) Contact us by clicking on the Nonprofit Inquiries button at the bottom of this page to preview the project scope with us. 3) Download the application and submit before the deadlines listed. Are you a volunteer inspired to make an impact? If so: 1) View the list below of current projects open for recruiting. 2) Click the Volunteer Now button below and indicate the specific project you’d like to join. You will be contacted with next steps, which will include filling out a brief questionnaire and participating in a short phone interview.